This playlist (which you can also find on the SimplyEighties Youtube channel) features all of the band's Top 40 hit singles. The last video for "Perfect Place" features the audio only as, unfortunately, there were was only one original video available which had terrible audio. 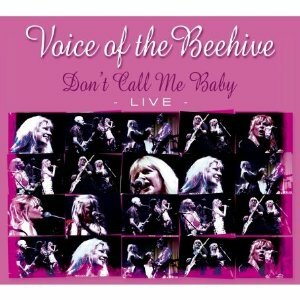 Voice of the Beehive formed in 1986 in London and were Californian sisters, Tracey Bryn and Melissa Brooke Belland, plus Mike Jones on guitar, Martin Brett on bass guitar and Daniel "Woody" Woodgate (from London band Madness) on drums. Surprisingly, "Don't Call Me Baby" only reached No.15 in the UK, and No.48 in Australia. The single was taken from the album Let It Bee, which was the band's only album released during the 1980s. 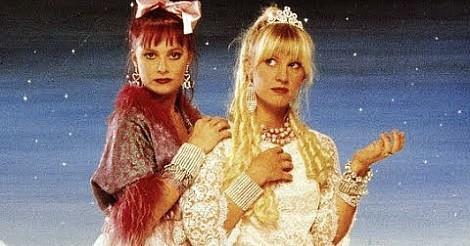 Their only other 80s hit single was I Say Nothing which was originally released in 1987, and was re-released in 1988 when it reached No.22 in the UK singles chart. 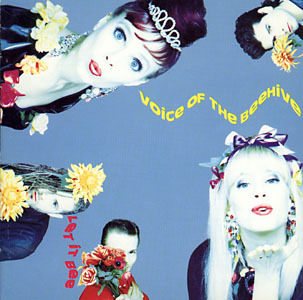 Voice of the Beehive had further success in 1991 with their album Honey Lingers which produced three hit singles in the UK; Monsters and Angels (No.17), I Think I Love You (No.25) and Perfect Place (No.37). They also had minor success in Australia. Released on May 2nd 1988, the single entered the UK singles chart on 8th May at #68, and climbed steadily to reach a peak position of #15 on 12th June for one week, while The Timelords were at No.1 with their novelty song "Doctorin' The Tardis". The single dropped just one place to #16 the following week. Interestingly, Voice Of The Beehive had provided the vocal harmonies for Bill Drummond's solo album The Man in 1986. Drummond was the co-founder of The Timelords and The KLF. There were two videos released to promote the single, the first of which you can view above. This one features the band performing on a small stage. The second video (below) also features the group performing on the same stage, but also includes some extra scenes. It's certainly more interesting to watch. "Jump This Way" (2:48) was included as the B-side on both the 7 inch and 12 inch vinyl releases. An extra track "Goodbye Tonight" (3:01) was also included on the 12 inch, but there was no extended or remixed version of the A-side released. The band's only other 80s hit single was I Say Nothing which was originally released in 1987, and was re-released in 1988 when it reached No.22 in the UK singles chart. The cover artwork of Let It Be, the band's first studio album.